High-quality tires are essential for every type of driving from daily commuting to competitive racing. But regardless of how good your tires are initially, they will eventually wear out and need to be replaced. In many cases, tires require replacement when the tread starts to wear out. Tread that’s shallow or uneven doesn’t provide the friction necessary for basic vehicle handling. 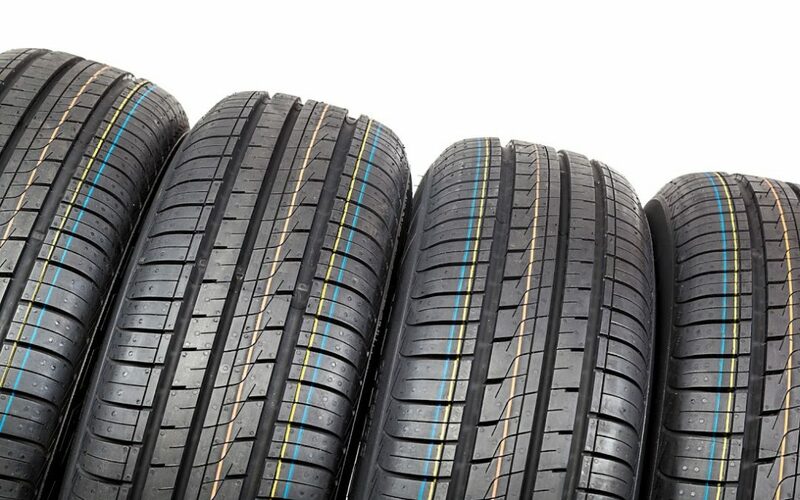 However, if you have a secondary vehicle, collector’s car, or racing model, your tires could need replacement before the tread shows significant wear if the tires develop dry rot. As we discussed in our last blog, “How Tire Condition Affects Vehicle Performance,” dry rot changes the tire’s rigidity, making the rubber brittle and unsuitable for driving. In this blog, we give you the tools you need to reduce the risk of dry rot. The term “tire dry rot” describes a condition where tire rubber starts to break down prematurely. This type of dry rot can’t spread between tires because it doesn’t result from an organic disease, but dry rot may affect any tires that are subject to the same conditions. For example, dry rot could affect the tires that are currently on your car as well as your snow tires if both sets are exposed to the same cause of dry rot. Rotten tires are highly likely to develop pressure problems or to blow out in normal driving conditions. This fragility comes from the lack of oil in dry-rotted tires. The lack of oil makes the rubber brittle, faded, susceptible to cracking, and easy to break apart. How Can You Protect Your Tires? Once your tire or tires develop dry rot, you have only a short time frame to have the rubber repaired. A tire expert may be able to minimize the damage and preserve the tire using sealant, but only if you seek repairs right away. After the rot spreads, you’ll need to replace your tires. To avoid frequent tire-replacement costs, take the following steps to protect your tires from dry rot. Tire dry rot most often appears on seasonal, recreational, or collector vehicles. Tires are designed to protect themselves from wear and tear through a process called blooming. During normal driving, protective waxes layered throughout the tire’s rubber “bloom” to the surface to recoat the rubber. Be sure to take your special-use vehicle out for short drives during the off season to ensure that the tires bloom and age properly. When you buy new tires, always invest in highly rated products from trusted industry brands. High-quality tires contain durable rubber, more oils, and more blooming wax. This product composition means that high-quality tires will almost always perform better than their low-grade counterparts, regardless of driving or storage conditions. Consult with a tire expert to determine the best tire options for your vehicle, driving habits, and climate. Tire dry rot almost always results from adverse conditions in vehicle storage. Whenever you aren’t driving your vehicle, park it in a controlled environment. You should also inspect your tires at least once a month for any damage. If you notice early signs of dry rot, such as cracks on the sidewall or tread, seek the expertise of a tire supplier like Extreme Wheels. Use these guidelines to ensure that you can trust your tires for their entire lifespan.